Sidekicks, the oft-forgotten but ultimately necessary addition to any great main character. Let’s face it, what is Batman without Robin? Sure, we all care about the main guy more, but let’s face the facts: The sidekick serves more purpose than just comedic effect, (although some seem tied into this role.) Some are actually intelligent, capable and sometimes are more rounded than the main characters themselves. In honour of all of the best secondary characters out there, as voted by you, this week we’re dedicated to bringing you our Top 10 Sidekicks in Games. Specifically Borderlands 2. Why? In the first in the series CL4-TP units were everywhere, each had their own variation on the basic personality type of arrogant and cowardly, and they would eventually come to rise up against their Hyperion masters and endeavour to assimilate various main characters. In the pre-sequel, the Interplanetary Ninja Assassin model becomes a playable character. In Borderlands 2, that same Claptrap is the last of his kind, living in a mausoleum made of his broken friends. Hard to feel bad for him though, while he is essential to the plot, he spends most of the first chapter referring to you as “Minion” while shaking in a corner as you deal with his problems. He’s full of catchphrases and soundbites, and every one makes you want to throw him off Sanctuary just to watch him bounce. Sadly for us all, he’s necessary. Otherwise known as Housecarl to the Thane of Whiterun, trap springer, arrow catcher, and “Dammit, get out of the way!” there is no more dedicated a sidekick than Lydia. Willing to fling herself into danger in the name of her Thane, no matter the consequences, literally no matter what the consequences, good/bad/irritating, it doesn’t matter. She can take a beating, and she is sworn to carry your burdens, so she’s not all bad. And worst case scenario you can always tell her to go home. She’ll even stand in the cold and unfurnished shell of Breezehome, diligently awaiting your return. She’s not quite so keen as Oblivion’s adoring fan, but at least she has a name. Ahh, here we go, a sidekick who knows what she’s for! Mark of the Ninja’s Marked rarely sees his companion Ora except when she drops in to inform him of security measures up ahead that he may not have seen already, or critical changes in the situation. After that she vanishes, presumably to go deal with things off-screen while you get on with the game. She may very well be running her own little mission for all you care, but stays broadly by your side for when you need her most. There may be a reason for this however [SPOILERS] Ora may very well be a hallucination brought about by the markings on the Ninja protagonist, and you are eventually faced with the possibility of killing your friend and ally, or possibly slipping into psychosis [SPOILERS OVER]. She’s a creepy question mark hovering over your narrative, but she’s also indispensible. Murray is an interesting character overall. He’s a comedic relief, in a game series known for its humorous dialogue. The Curse of Monkey Island has a relatively ‘serious’ plot, in that you are trying to save Elaine from being a solid gold statue and defeat the evil pirate LeChuck. Technically, this demonic talking skull isn’t really a sidekick, but in some situations he certainly acts like one. He gives you little hints and tips, all whilst realising the inevitability of his circumstances, (y’know, being just a skull means you can’t do much.) Whilst he’s snarky and nasty to you a good 95% of the time, he not only sometimes just appears out of the blue, (questionable how a talking skull gets about so much), but he’ll even go in your inventory and talk when you open it. At least he’s always there for you. Annoyingly. The Last of Us is a game that took the world by storm and for good reason. The protagonist, Joel (not to be confused with our very own Joel,) loses his daughter and becomes a bit of a negative person. However, when push comes to shove, he is tasked with looking after Ellie and the two form a fantastic duo. Perhaps it’s the strange bond of humanity that makes these two characters an absolutely believable team, or perhaps it’s the direness of the situations they’ve been faced with. Whatever the reason for these two and how they manage to look after one another, Ellie holds her own at such a young age. 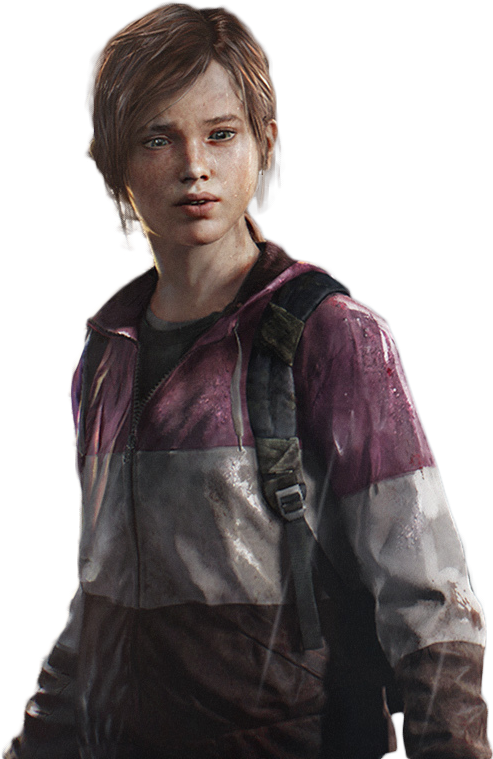 She makes a lot of sense in terms of character development and she’s up there amongst the most awesome youngen in video games. Naughty Dog, you can be proud of yourselves for portraying Ellie so well in this. She’s the real hero to me. We struggled with this one, but frankly Wheatley made a far more interesting villain than sidekick. Somehow GLADoS’s journey from AI with god delusions – all-powerful within her self-contained domain – to science fair project with a personality disorder made her far more compelling a companion. The excursion into Aperture’s abandoned projects and the narrative that unfolded their made her presence far more interesting, and her assistance felling the mad moron drunk with science was invaluable. Ok so her reward for restoring her to her rightful place was not killing you, considering her attitude towards you over the last eight years, you got off lightly. This town ain’t big enough for two non-human engineer sidekicks. It’s time for you to cast your vote as to which of these two behemoths are video games best engineer sidekick, but first, let’s explain who these two are. Glottis, the Demon engineer who isn’t allowed to torch anything bigger than a cigarette without a form signed by the boss himself. After Manny manages to get a signature for Glottis to do his thing to Mannys company car, Glottis becomes Mannys personal driver. Turning the car into the Bone Wagon that we all know and love, Glottis is a fun and incredibly enthusiastic character. He understands rules, but most importantly: He values loyalty and friendship above all else. Pey’J is a Sus Sapien. If you don’t know what that means, it’s basically a pig human. Don’t be fooled by his gruff looks though, Pey’J is also an incredibly loyal character, but unlike Glottis, his head is way more down to earth and clearly understands the importance of Jades discoveries. He likes to create electronic devices for himself and Jade, often to help Jade out… But sometimes just be cause he enjoys making things. Conversely to Glottis, he doesn’t like driving, but he’s a master mechanic and engineer. Luigi needs no introduction what so ever. The guy has his own stories and his own games that he goes through. Recently, there was even a year in his honour. If you missed out on that, then you missed out on a special part of the Mario universe. 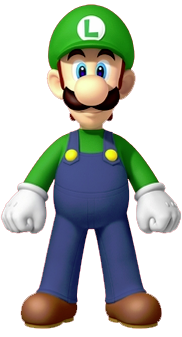 However, the Green Plumber is often picked over his own brother, which begs the question: Is he a sidekick, or an alternative hero at this point of time? Originally, he certainly was introduced as a sidekick, being the player two to Mario. We can’t be too wrong with this one. Many other websites with similar Top 10 themes rate Luigi as a highly dependable character. With videos such as the below to support him too, whose to say he doesn’t deserve a top 3 spot? Honestly, the next two sidekicks however… They take it to the next level. Ok, so he’s not quite so good as Sonic, not as fast and not all that useful in multiplayer. But the twin-tailed fox has something unique that makes him surprisingly handy at exactly the right moment, and isn’t that ultimately what makes a sidekick perfect? Miles “Tails” Prower doesn’t exactly seize the spotlight but there are times you’d father rather you were flying than rushing past everything at breakneck speeds. Unlike Knuckles – the third addition to the Sonic team – who has his own stuff to get on with unless he’s needed, Tails is friend and admirer to Sonic. Though he can increasingly depend on himself without the blue speedster watching his back, Sonic can always depend on him when he’s in a fix. Plus he’s ginger. Gotta represent! Alyx Vance is, for all intensive purposes, the perfect Non-Playable Character and I cannot fault her at all. She’s logical, she’s believable, she’s very intelligent and she’s very athletic and helpful. There’s no reason to dislike Alyx, even if you’ve never played Half Life 2, you will at least know of her. 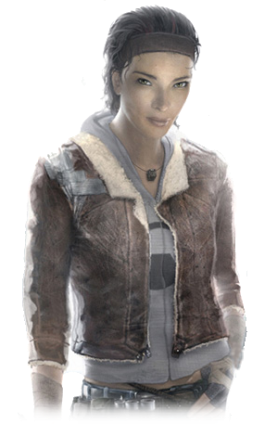 She’s considered one of the greatest NPCs of all time by many, she’s full of presence in Half Life 2 and she’s likeable. What helps is that throughout Half Life 2, you meet characters who are good for helping you out. Alyx is a constant reminder that friendship and devotion to a cause can be a powerful combination. She cares deeply about Gordon Freeman, the silent crowbar wielding protagonist, which is apparent. Combine this with stellar AI which possibly helps her be one of the smartest AIs in video games at that, it’s apparent she’s the perfect sidekick. I know for a fact right now that if nothing else, there’s one GeekOut reader who’ll see this at the number one spot and be fist pumping and will never stop talking about it, because the guy never shuts up (and we love him for it). He knows who he is. We’ve been through the motions of our Top 10 but now that the heroes helpers have been honoured, it’s time to have a look at some more sidekicks who didn’t quite make the cut for the full list. Nevermind, they’re still winners to us, even if they’re rarely remembered. We remembered them… Wait, that’s not how this works! We remember these characters for very specific reasons and here’s why! Actually, the whole issue of Navi being an annoying character is slightly inflated by the internet. Hear me out here – I don’t remember playing Ocarina of Time and having Navi saying this all that often. Yes it is somewhat annoying when she does decide to go on a “hey listen” rant, but that’s probably because you’re not actually, y’know, paying attention to what she has to say? She’s there to help and she tries her damned best. Instead, she’s become a bit of a mocking point for the internet. A real shame, too. She is only doing her job. The infamous and least useful “Fourth Starter” was the first Pokémon to stalk you through the Kanto realm because he refused to stay in a pokéball. Well go to hell you stuck-up glorified battery! And stop turning your nose up and threatening to shock me whenever I try to talk to you. I have to go through Brock’s gym with you and a pidgey, that’s gonna be like trying to demolish a building with a pamphlet! Much like in the anime, the pikachu in Pokémon Yellow edition grows to like you in time. He’s not entirely useless despite the fact that you can’t evolve him without losing the entertaining bouncy sprite following you around, and with it losing one of the most unique features of the game (certainly at the time, not so much anymore). Quite so Watson, it’s time for us to wrap up this weeks Top 10. Much like our sidekicks that made the cut, this list is secondary to them. Hey, some of these may be scoffed at but we truly felt they deserved a mention. Don’t forget to hit that vote button for our next list! As always though, we wouldn’t make these lists without you, the readers. Please cast your votes and let us know in the comments below, or over on Facebook and Twitter: Do you think our choices were right for this, or are there any characters you feel deserves a mention? Did we put these in the wrong order? Is Alyx Vance really the top sidekick in video gaming, even above Luigi and Tails?! Let us know your thoughts and we’ll see you all again next week for another Top 10.